When an athlete’s motto is “get comfortable being uncomfortable,” you know they can push themselves and are willing to suffer to produce a winning performance. For Point Pleasant, New Jersey’s Brian Norling, testing limits and success go hand-and-hand. 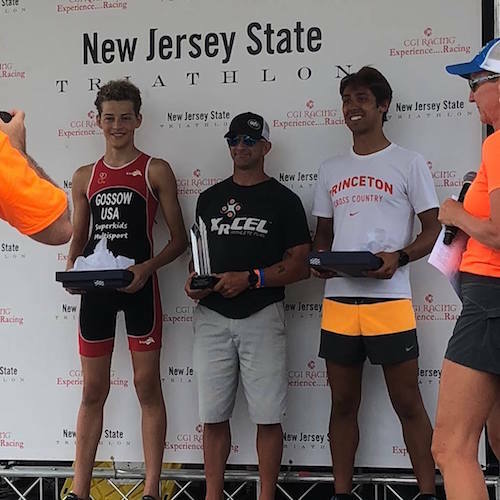 Norling has burst onto the triathlon scene with nothing less than a podium-producing performance in 2018, including an impressive win at the New Jersey State Championships where he was first overall out of over 3,000 participants. Age is simply just a number for Norling, 43, who regularly beats his younger adversaries and shows no signs of slowing down. As a dad of two, who runs his own masonry company, he needs all of the energy he can get to put in a solid day of training as well as being race-ready. “With XRCEL as my go-to fueling source for the last three years, I no longer have to worry about running out of energy while training,” said Norling. Before having XRCEL in his corner, Norling was having cramping problems in longer races. Once he switched to XRCEL, he says he has never had cramping issues again and believes that XRCEL is the key to keeping his body fully-fueled and cramp-free. “One year, while racing Cathedral Pines, I had to bail at six hours because of cramping issues. The next year, when using XRCEL, I had zero cramping issues. Training and racing with XRCEL gives me one less thing to worry about and there is definitely enough to worry about on race day,” adds Norling. Whether Norling is racing for one hour or six hours, he notes that XRCEL has never let him down. With so much racing success in the last few years, we are beyond proud to sponsor Brian and can’t wait to watch him continue to race fast and win!